The Painted Chest: Exciting Changes Happening!!! The Painted Chest is MOVING!!! That's right, I am moving into my very own store!!! My new location will be at 1340 Walnut Street in Murphysboro, Illinois. It's right on the corner of 14th and Walnut streets. I can't tell you how excited I am to see my dreams coming true! Another paint line is also coming to The Painted Chest! 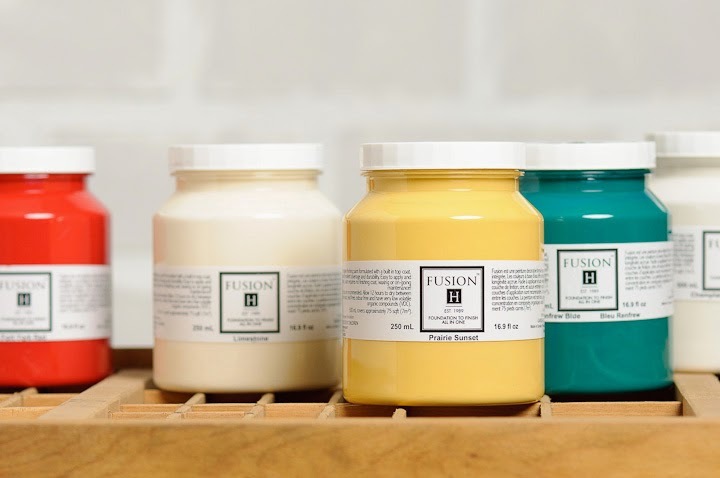 Fusion™ Mineral Paint is an amazing new furniture paint made by Homestead House Paint Company, also the manufacturer of Miss Mustard Seed's Milk Paint. You can learn more at Fusion™ Mineral Paint HERE. I have also been asked to be a part of the Fusion™ Mineral Paint Leadership Team as the new Midwest Regional Merchant Trainer!!! What does that mean? That means that I will be teaching all of the new Midwest Fusion™ Merchants (retailers) how to use Fusion™ and its companion products as well as how to teach workshops to their own customers. My region covers the following 11 Midwest states: Kansas, Nebraska, Minnesota, Iowa, Missouri, Illinois, Wisconsin, Michigan, Indiana, Kentucky, and Ohio. This is also the reason why I am opening my own store, because all of those retailers will be coming to Murphysboro, Illinois for their training!! !